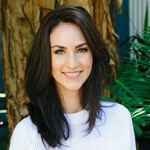 Kat Ilich lives in Mackay, North Queensland with her husband, Tony, four-year old son, Percy, 10-month-old daughter, Fleur, dog, Lionel, and cat, Meg. In 2007 she graduated with a Bachelor of Arts (Distinction), majoring in Sociology, Communications and Film from Central Queensland University. Kat is currently undertaking a Masters Degree in Secondary Education (English/Film and Television), and currently works as a Literacy Coach servicing the greater Mackay region. Kat has intently studied the realms of Professional and Creative Writing, along with Script/Play Writing for the stage and screen as part of her Bachelor of Arts degree. She has worked in a number of media and communications roles for large-scale construction and performing arts companies, and has worked as an Actor/Model in Brisbane, Queensland, where she further extended her studies in the field of commercial Film and Television production. Always an avid writer (predominantly short stories and poetry), Kat developed a passion for writing children’s fiction after she fell pregnant with Percy. As she began collecting stories that were once her favourite from her childhood, Kat began to look further into the reasons for her nostalgic connections. Many were stories in rhyme (Kat’s favoured style), and many danced along with infectious and curious intonation, and memorable repetition. It was at this point that Kat started researching and realising the true cognitive developmental advantages of exposing babies and children (from as early as birth), to pleasant, rhythmic and repetitive language. After speaking with educators and professionals in the fields of literacy, education, music and medicine; and after further researching the realms of adolescent speech pathology practices and linguistics, Kat began to see even more positive linkages between discourses in rhyme in both story and song format. When the brain becomes familiar with particular words and sentences in sequences that sound similar to one another, it begins to retain and recall ideas and concepts with ease. This is often referred to as Auditory Memory Development, which promotes confidence in young children based on their ability to predict language and execute words correctly. Delivering rhymes and songs, and promoting engagement through expression, tone and often physical action, is one of the oldest and most effective methods of kick starting this learning practice. Writing a children’s book in rhyme became the cornerstone for Kat, who was determined to make it enjoyable as well as beneficial for growing minds. Furthermore, stories of this nature have been known to increase phonological awareness (sounds in words), a child’s ability to spell and speak fluently, and their ability to confidently use words in sentences and to describe context. Most importantly, it’s fun, and it’s a perfect opportunity for you to bond with someone small, and very special. Dig a little deeper and you’ll sense a poignant undertone to this story – one that touches on bullying, cultural and physical difference, and disability. Mindfully written as a story for all ages to enjoy, The cat with no tail is predominantly targeted at Primary School students who are experiencing and digesting an abundance of social information. Meg, the cat, represents all things different, unexplored, and misunderstood. With her turned out feet and her lack of a tail, she defies the stereotypes and encourages readers to rapport with those who might look a little different, due to race, cultural attire, or disability. The other characters reflect this dissonance by mocking Meg initially, and rejecting her based on her physical appearance alone. The cat with no tail is a family legacy – Meg is loved and appreciated for her uniqueness within her family. Kat hopes this story will not only delight her young readers, but also encourage them to grow in confidence and self-esteem.